Kimiko Ueno is originally from Yokohama, Japan, and graduated from the Japan Institute of the Moving Image. In 2009, Ms. Ueno made her anime debut as a script writer for a children's comedy television series, Gokyoudai Monogatari. 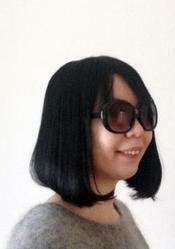 Ms. Ueno has written for numerous other children's anime series, including Stitch! : Zutto Saiko no Tomodachi, Kuromajyo-san ga Toru, and Crayon Shin chan. She also wrote the screenplay for the movie Crayon Shin-chan: Bakauma-! B-Kyu Gourmet Survival!!. Currently Ms. Ueno is a screenwriter on the popular Space Dandy series. She has written 5 episodes thus far, including the much talked about zombie episode (ep 4), "Sometimes You Can't Live With Dying, Baby"! Thus far, Ms. Ueno has written episode 3 - "Occasionally Even the Deceiver Is Deceived, Baby", episode 7 - "A Race in Space Is Dangerous, Baby", episode 10 - "There's Always Tomorrow, Baby", and episode 12 - "Nobody Knows the Chameleon Alien, Baby". Space Dandy is simulcast in both an English dub version on Cartoon Network's Adult Swim and in Japanese with English subtitles on Funimation.